Writer-director George Clarke’s latest sweat-inducing scarefest comes to U.S shores this November. 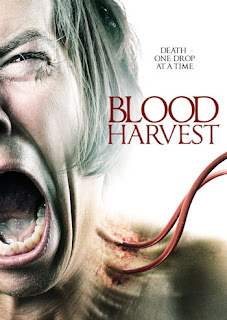 The award-winning Blood Harvest, out of Northern Ireland, premieres on Digital 21st Nov from Wild Eye Releasing. Robert Render, Alan M. Crawford, Jean Paul Van Der Velde, Griffin Madill, Rachael Stewart and Matt McCreary star in a George Clarke film. A rural village is terrorized by an evil force that drains the blood from its victims. A discredited police detective, who believes the killings are the work of vampires, must team up with his former partner to uncover the truth.